As North America’s largest land animal, these giants weigh between 1,000 and 3,000 pounds, with large males standing up to 6 feet 8 inches at the shoulders. Adults are dark brown while calves are tan colored. At maturity bison grow long, dark brown fur over their heads, shoulder and forelegs. This “overcoat” is pronounced in males. Both males and females have horns that are made of keratin (like our fingernails and hair) which are never shed. They now live in select National Parks, grasslands and private ranches where their numbers are steadily increasing. They once ranged over prairies and open woodlands from southern Canada to Mexico and numbered more than one million animals! Up to 50 pounds of grasses a day! Up to 40 years in captivity. Bison live in family groups called herds, which are comprised of a dominant male, several female and young. During migration, the small herds band together to form larger herds of a thousand or more animals. Sadly, these vast herds no longer exist. Bison were nearly driven to extinction by early settlers and bison hunters. In the early I900’s the last few remaining animals kept in Zoos formed the basis for the entire new (and protected) population. 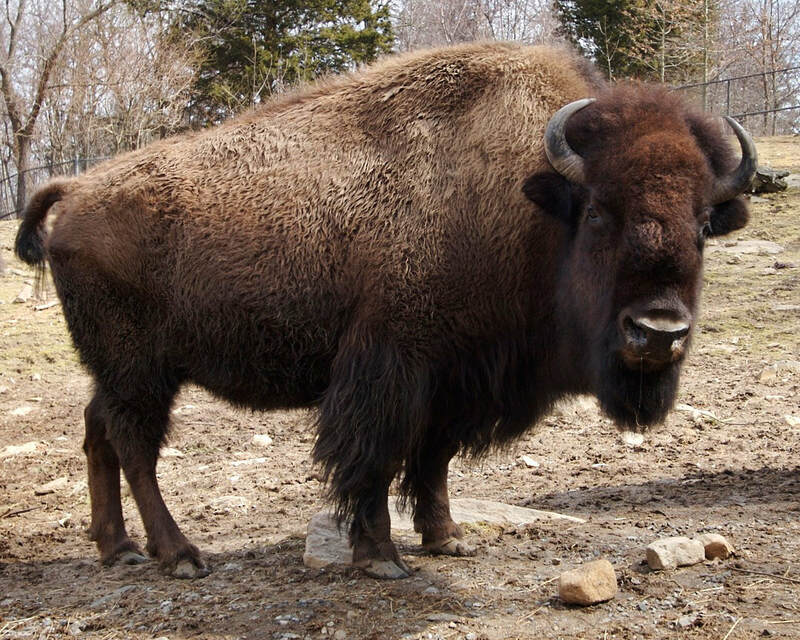 Bison are a very large species of wild cattle that live only in North America. They are sometimes incorrectly called buffalo or American buffalo, due to their similar appearance to African and Asian water buffalo. 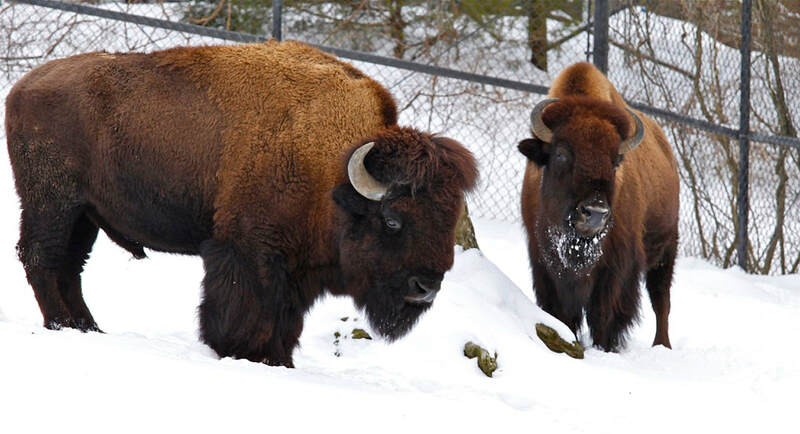 Our bison family at Connecticut’s Beardsley Zoo consists of an adult male and female.